Adrenal Fatigue Be Gone | Adrenal Fatigue, Anxiety, Chronic Fatigue, Insomnia … whatever is causing you to feel tired all the time … It is time for Fatigue Be Gone! Almost daily re-energizing tips, tools, techniques & community FUN! Are you tired of feeling achy? I have been one achy babe since awhile now. Like fatigue, achy muscles and joints just seemed to sneak into my life little by little until I felt it – day in and day out. Some nights I even found it hard to sleep because of the discomfort. Enter Dr. Greg Kangleon … “Oh yeah” he said. 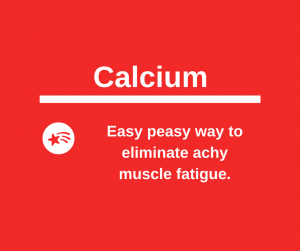 “You need to be take calcium. 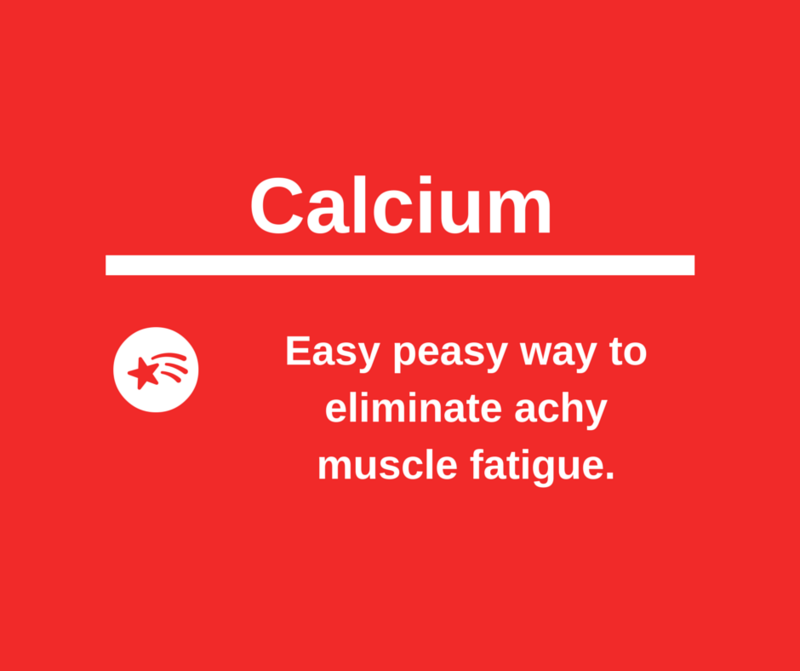 Aching muscles and foot and leg cramps are signs of a calcium deficiency.” Go figure. What a relief. I was imagining the worst. Started taking 1/2 teaspoon (600 mg) of powered Calcium Carbonate everyday and immediately feel so much better. If you are feeling “off” please talk to your doc. Your own solution could be just as easy and inexpensive to fix as mine! P.S. If you live in San Diego I highly recommend Greg. He has been Doctor Solution for me for years and although I live in Virginia now I always have a check up with him when I am out for a visit. 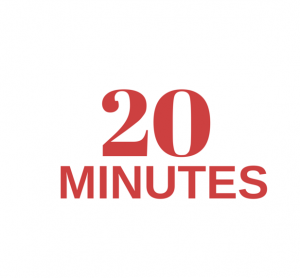 20 minutes a day – or less. Some fatigue causes really are “in our heads.” One of mine is the unfinished-task-fatigue. Right now (and often) my energy is zapped by the mental fatigue of these nagging tasks. Easiest solution is take them on, 20-minutes at a time. It’s so easy to feel better. Often we don’t have to change much or buy anything extra. If you already own a car, a couch, some chairs, a bed and a smart phone you will find this month’s energy-boosting recommendations to be absolutely FREE. We spend way too much of our day laying or sitting down. It’s not natural and it isn’t healthful either. We used to have to chase down our chow and walk for miles to get somewhere else. Now everything we need is just a few paces or a car ride away. This week, stand UP more. Stand UP when you talk on the phone with friends and go through your mail. Stand UP when you watch the news. Stand UP and stretch to start and end your day. I recently went through a nightmare spell of insomnia. It coincided with my upgrade from a flip phone to a “smart” phone. Coincidence? Hardly. Flip phones, in case you don’t remember them, are only useful for calling or texting (while standing UP.) Smart phones are palm sized computers that are endlessly interesting. They also emit a bright light that keeps the sleepy-time dopamine at bay for hours and hours. BIG thanks to my doc for helping me connect these dots. Since I started powering DOWN two hours before bedtime and charging it up in the kitchen vs. my bedroom the insomnia is gone and waking up refreshed is back! If there was just-one-thing you could add to your diet today that would make a HUGE difference, make it Flax. Would you like something super tasty, energy-boosting and FAST to make and take on the go, Go, GO? !